It looks like it’s definitely the end of the road for Google’s Chromebook Pixel notebook, but that doesn’t necessarily mean that the company is entirely washing its hands of making any sort of branded laptop. This is a slightly tangled strand to emerge from the notebook grapevine, stemming initially from a TechCrunch report which cited a comment from Rick Osterloh (SVP Hardware at Google) made over at MWC which clarified that Google has “no plans” to make another Pixel laptop. As both the existing models of the premium notebook have sold out, and no more will be produced, this effectively marks a gravestone for the Pixel brand in laptop terms (it’s been transferred across to be used in Google’s smartphones, of course – plus the Pixel C Android tablet is still around). However, if you think this means Google is never going to make another branded laptop, further info courtesy of CNET indicates that this isn’t necessarily the case. In other words, nothing is happening right now, but that doesn’t mean it won’t in the future. For the moment, perhaps, Google feels that the Chromebook market is mature enough that the firm doesn’t need to lead the way, so to speak, with a flagship Pixel product. Indeed, if another model of Chromebook is forthcoming from Google, it’ll be interesting to see whether this is still pitched at the premium end of the market. 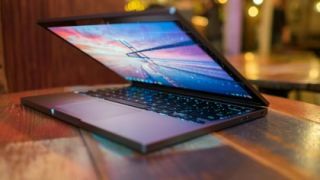 The Pixel, of course, was eye-wateringly expensive when it first came out, and even the revised version released in 2015 wasn’t cheap – especially compared to the usual budget prices Chromebooks are pitched at.